To protect you and your family’s comfort, environment and safety, here are a few tips for maintaining your HVAC. It is recommended air filters in your central air conditioner and furnace be inspected, cleaned or changed once a month. In addition, service for an HVAC unit should be performed twice a year, in the spring and fall. Following this schedule will provide the opportunity to clean the unit thoroughly and fix any minor or major issues. Dirt, debris and other particles must be removed from movable components to ensure the unit will function properly and prevent possible damage. One should also check for any broken components or blockages and lubricate all moving parts. HVAC unit performance should regularly be tested throughout the year. This can be accomplished by turning the unit to its highest or lowest setting and allowing the system to raise or lower the temperature until the set temperature is attained. This should not take more than 15 to 20 minutes. If it requires more than 30 minutes to reach the desired temperature, you should contact an HVAC technician. One should keep accurate records on all checks performed on the HVAC unit to help determine how it is functioning between maintenance services. Be sure to make a note of when filters, belts, fans, and vents were last cleaned or replaced. Over the years your HVAC system will show wear and tear. If your system is at or over the 10-year mark, you should consider upgrading your HVAC unit. 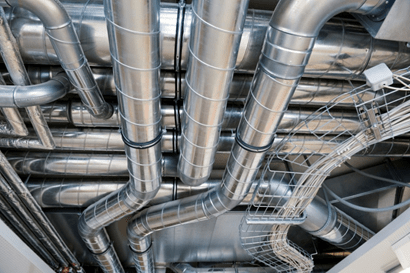 Newer HVAC systems are mandated to function with higher levels of efficiency to meet Title 24 compliance and can prove to be cost-effective (lower heating and cooling bills) in comparison to older HVAC models. If you are in need of an award-winning MEP engineer in Los Angeles to design high quality and efficient heating, cooling, and ventilation systems for your residence, please contact the reputable K2D at 310.935.3773 or visit www.K2d.com to learn more.